Welcome to craftHER Market, a space for self-identified women to sell, showcase and share their wares, makes and goods. On Oct. 1, 2017, we'll feature 100+ booths at Fair Market, produce panels covering different topics relevant to the maker community and showcase resources in the Austin community (art collectives, alternative art markets, etc.). Our Spring '17 market had more than 100 booths and 2500 attendees. Click here for the full recap. About #bossbabesATX: Through our work, we hope to foster community, conversation and commerce around women in creative industry and the arts and women-owned businesses. Our productions center on personal and professional development, activism, the arts, entrepreneurialism, and community infrastructure. We believe intersectionality, informed decision-making, sharing professional resources and actively advocating for women's rights and the rights of marginalized peoples are inherently valuable. *Our events prioritize the voices of self-identifying women and non-binary folks. We are not gender-discriminant; all are welcome to attend. 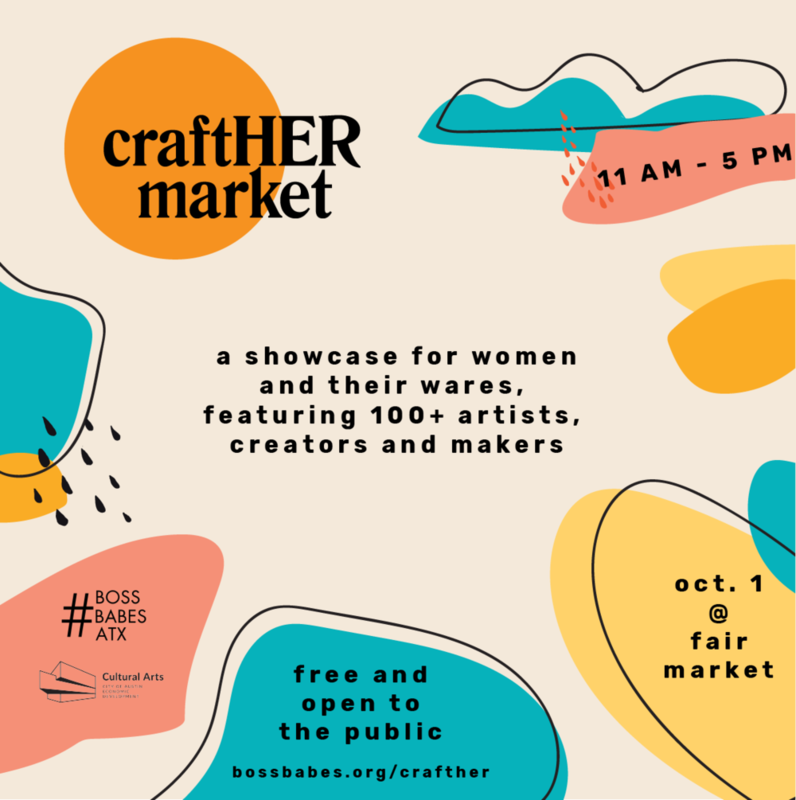 This market is sponsored in part by the LINE ATX, a 2017-18 partner with #bossbabesATX. Opening in Spring 2018, the LINE ATX will be a cultural center for local and emerging artists, reflecting their stories and sharing a vision for the LINE as an inclusive, rooted, and pioneering hotel in Austin.